I've noticed the grass outside has begun to be coated white with frost each morning meaning winter weather and the snow that comes with will be here soon. 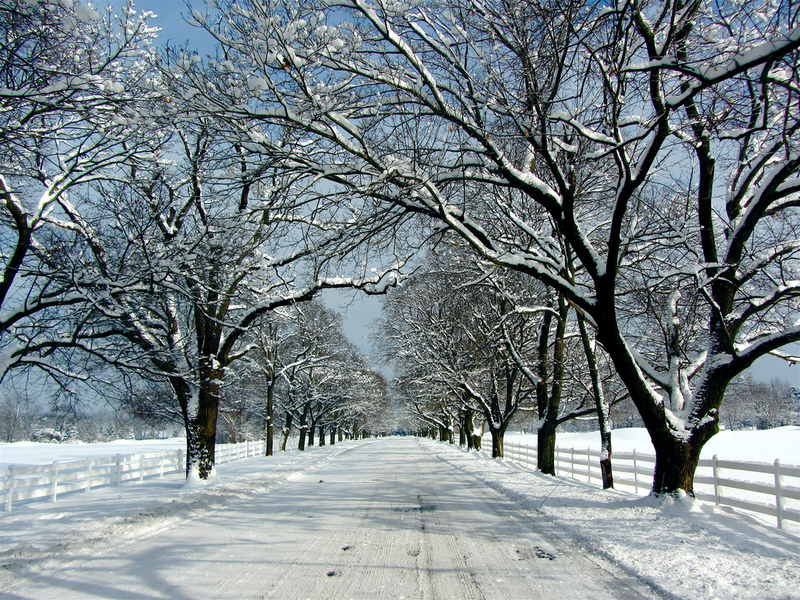 Snow covered landscapes around Michigan provide for some great scenery and fun times skiing, sledding and snowmobiling but can also be a real pain when it comes to driving your car around town. I recently partnered with Kungs -- a Finnish producer of premium snow brushes and ice scrapers that are tested in the harshest Arctic conditions -- to bring you some fun expert tips from one of the coldest countries on Earth: Finland. With these tips and Kungs' products you can survive winter like an arctic boss! 1. USE THE COLD TO YOUR ADVANTAGE Low temperatures inspire many in the Nordic region to get together outside and enjoy the 'fresh' weather that only winter can bring. Take advantage of what winter has to offer: Plan a day trip to your nearest sauna, go sledding on the nearest hill or simply throw snow at your friends and family. Here's a "cool" idea: Pack a warm thermos of soup to enjoy after a wintertime ski run—and have a picnic right in the snow! 2. DRESS LIKE YOU MEAN IT One of the key reasons winter-haters despise the cold is that they simply don't know how to dress for it. The people of the Arctic know better. It's easy: Before heading outside, make sure you're properly clothed. The secret? Multiple layers. A thick winter coat is essential, along with waterproof gloves, wool socks, a scarf, a hat, and of course, snow boots! Several layers of pants can help, as well. Arctic tip: Allow yourself some extra time (10 minutes) to get in and out of those extra articles of clothing. 3. WINTERIZE YOUR CAR Got a car? Then you're going to want to prepare it to handle winter conditions without a hitch. Stock your car with an emergency kit, consider winter tires for better traction, and thoroughly check your battery before the cold strikes. In winter precipitation, visibility is crucial. 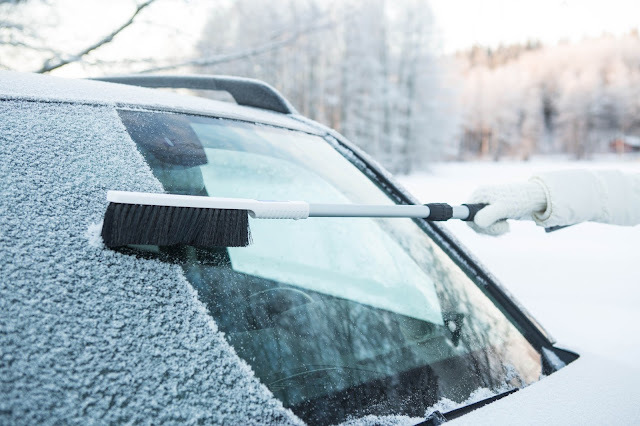 Keep both a snow brush and a durable ice scraper on hand—and be sure your ice scraper can de-ice windshield wipers. Kungs ice scrapers and snow brushes can meet these needs and are available at Sears Auto Centers. 4. YOU CAN ENJOY WINTER INDOORS, TOO The winter months are ideal for wrapping up in a blanket and cozying up next to a warm fireplace (or space heater), glass of wine in hand. Even the best Arctic bosses aren't afraid to enjoy the warmth and comfort of a winter day indoors. 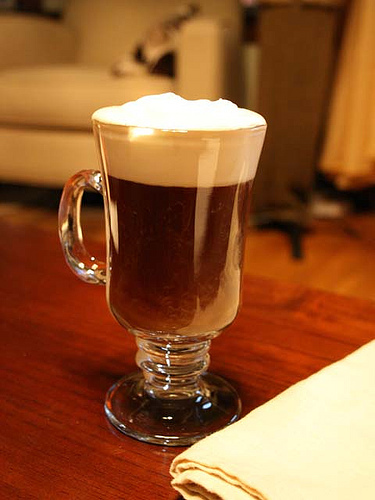 Arctic boss tip: Get cozy with your significant other and surprise them with a hot cocktail! I have two pet peeves when it comes to people not properly cleaning their cars of snow during the winter. First, only clearing a small patch of ice in front of the steering wheel so that they can hardly see. Second, not clearing the top of a car so as it drives along the snow flies off hitting surrounding cars and spraying across other people's windshields. Driving without properly cleaning your car of snow during the winter really enhances your chances of getting into an accident but also puts other people on the road around you in harms way as well. Kungs' Mega-Is Snow combination brush / ice scraper and Tele-Is telescopic snow shifter can make clearing your car off in the winter easy and elevate the hazards that come with driving a car covered in snow and ice. The Mega-Is Snow snow brush / ice scraper features a triangular shaped ice scraper which has three sharp scraper blades. 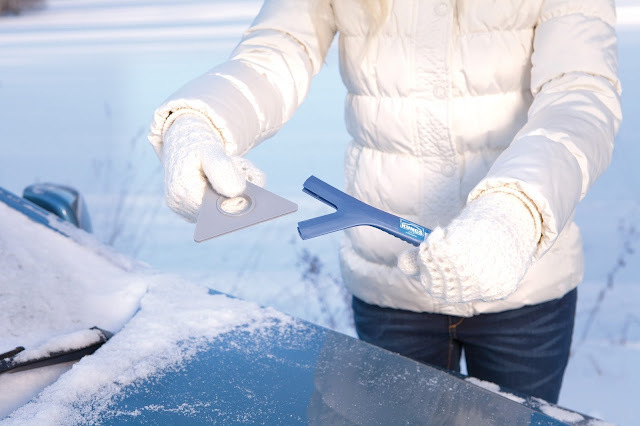 Its unique triangular shaped ice scraper has three sharp scraper blades, and it is easy to turn the scraper around to switch a new scraper side. The scraper blade is manufactured of 100% polycarbonate and designed to break through even the hardest ice. 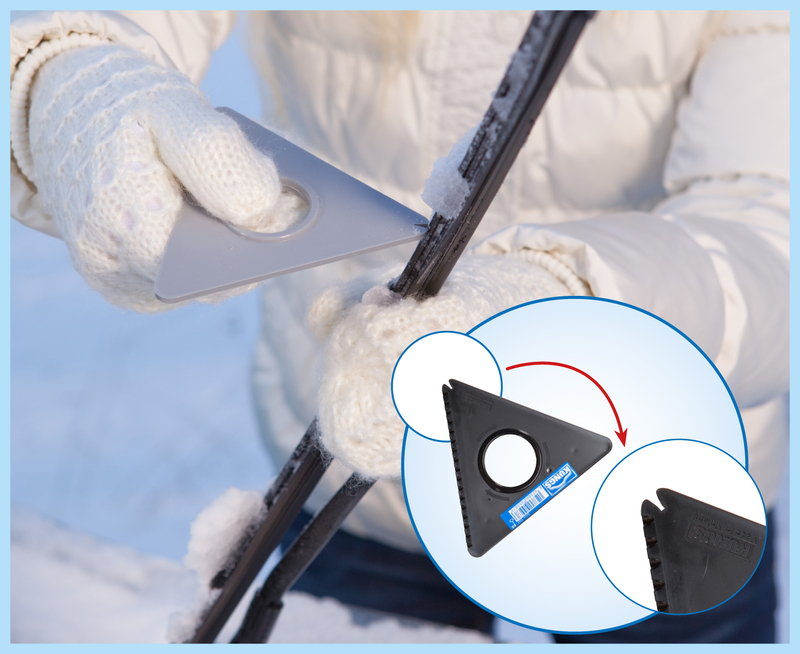 You can also easily clean the wiper blades of snow and ice with the help of the little notch in the ice scraper blade. The opposite Mega-Is' thick yet gentle brush also removes wet and dry snow so you can clean off a vehicle with one tool. Have a problem not being able to reach your whole windshield, the middle of your hood, or the top of a car? Kungs' Tele-Is snow brush / ice scraper can help with that! It extends out to provide the extra length to make hard to reach areas accessible and when you're done its telescopic features allow it to me minimized for easy storage. Made in Finland—a country with some of the harshest winters on the planet—Kungs snow brushes and ice scrapers combine Scandinavian design and ergonomics with the durability needed to handle whatever winter throws at you. Kungs just launched their line of environmentally friendly products (complete with a three-year warranty!) in the U.S., exclusively at Sears Auto Centers. I'm looking forward to using Kungs' snow brushes and ice scrapers myself this winter to keep my own car safe and clean.